USES: Zolpidem is used to treat sleep problems (insomnia) in adults. If you have trouble falling asleep, it helps you fall asleep faster, so you can get a better night's rest. 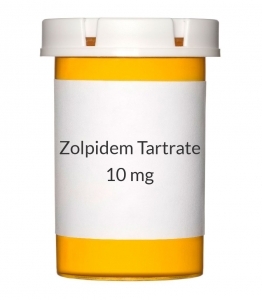 Zolpidem belongs to a class of drugs called sedative-hypnotics. It acts on your brain to produce a calming effect. This medication is usually limited to short treatment periods of 1 to 2 weeks or less. HOW TO USE: Read the Medication Guide and, if available, the Patient Information Leaflet provided by your pharmacist before you start taking zolpidem and each time you get a refill. If you have any questions, ask your doctor or pharmacist. Take this medication by mouth on an empty stomach as directed by your doctor, usually once a night. Since zolpidem works quickly, take it right before you get into bed. Do not take it with or after a meal because it will not work as quickly. Do not take a dose of this drug unless you have time for a full night's sleep of at least 7 to 8 hours. If you have to wake up before that, you may have some memory loss. Dosage is based on your medical condition, other medications you may be taking, and response to treatment. Do not increase your dose, take it more often, or use it for longer than prescribed. Do not take more than 10 milligrams a day. Older adults are usually prescribed a lower dose to decrease the risk of side effects. This medication may cause withdrawal reactions, especially if it has been used regularly for a long time or in high doses. In such cases, withdrawal symptoms (such as nausea, vomiting, flushing, stomach cramps, nervousness, shakiness) may occur if you suddenly stop using this medication. To prevent withdrawal reactions, your doctor may reduce your dose gradually. Consult your doctor or pharmacist for more details, and report any withdrawal reactions immediately. Along with its benefits, this medication may rarely cause abnormal drug-seeking behavior (addiction). This risk may be increased if you have abused alcohol or drugs in the past. Take this medication exactly as prescribed to lessen the risk of addiction. When this medication is used for a long time, it may not work as well. Talk with your doctor if this medication stops working well. Tell your doctor if your condition persists after 7 to 10 days, or if it worsens. You may have trouble sleeping the first few nights after you stop taking this medication. This is called rebound insomnia and is normal. It will usually go away after 1-2 nights. If this effect continues, contact your doctor. I have taken Zolpidem before and it really works good. Zolpidem works as well as Brand name and at a much lower price.